This is the best place to buy used office furniture or to sell your used office furniture. Everyone wins with Want Dont Want. How? You can call in a used office furniture dealer – they will offer the lowest possible price or charge you to take your items away. What about Advertising on Ebay! This works well for the domestic furniture market but not for the used office furniture commercial marketplace; buyers tend to want only one item. Talk to Want Dont Want! We advertise your used office furniture for sale on our award winning website. There are over 10000 people visiting our website every week. 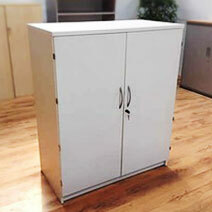 The adverts are viewed by real buyers who are looking to purchase good quality used office furniture. Our adverts feature good quality photos; dimensions, prices and a phone number where buyers can speak to a real person at Want Dont Want about any of the adverts they have viewed. You will be selling your used office furniture at a much higher price than a used office furniture dealer would pay you. Your buyer will be purchasing at a much cheaper price than they could buy from a used office furniture dealer! We charge a commission for brokering the transaction ï¿½ Everyone wins! Your used office furniture is worth much more than you realise. Most companies tend to leave the selling of their used office furniture until the last minute. This forces them into accepting a painfully low offer from a used office furniture dealer or having to pay to have the furniture taken away. Want Dont Want encourage companies who are moving to market their used office furniture as early as possible on the Want Dont Want.Com Website. This allows them to pre-sell large quantities of used office furniture prior to their move; with an agreed date for collection set by the seller. We have an extremely impressive client list of companies who have both bought and sold used office furniture via the Want Dont Want website. Weï¿½d love to add your company to our list. Call us now for a friendly chat and find out how we can help you buy or sell your used office furniture. Wantdontwant.com can help you find the most comfortable and practical used office furniture for yourself and your employees. Browse around the site to search for used office furniture by either clicking on any thumbnail photo or simply selecting the A - Z index to view all categories. 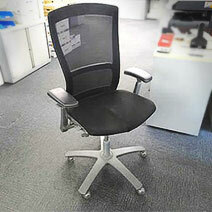 All of the adverts that you see on our web site are from genuine companies who have used office furniture to sell. If you are interested in purchasing the furniture you have viewed, you must get back in touch with Want Dont Want.Com to make payment. We have personally viewed 90% of the used office furniture that you see advertised on the site and we positively encourage customers to call us so that we can provide further information and arrange appointments to view. If you can't find the used furniture you are looking for on our website please let us know - especially if you are looking for specific products. We will then advise you as soon as a matching product becomes available. 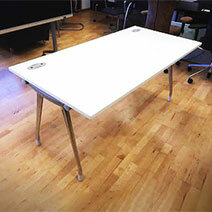 You'll be amazed just how much your second hand office furniture is really worth! Advertise with us and you will achieve the best possible price. "The service offered by www.wantdontwant.com was exceptional, and the cost of the second hand office furniture made us basically feel like we were robbing the bank!!!"